If you design a product and you need to produce a prototype of a printed circuit board, you can create a prototype or give it to a manufacturer specializing in assembling a PCB prototype. However, PCB prototype production requires PCB production and assembly, which would not be profitable if only needed for PCB prototypes, which are very small production cycles. It is better to find a partner who specializes in producing a PCB prototype. It is generally cheaper to produce a large amount of PCB than a small amount. However, the PCB prototype is usually produced in small quantities because the design of the circuit is still improving. A manufacturer specializing in PCBs knows how to keep low costs because it has the ability to minimize installation costs and production costs. Most manufacturer use the Gerber format so that if you use other file formats, make sure the manufacturer can work with these other types of formats. 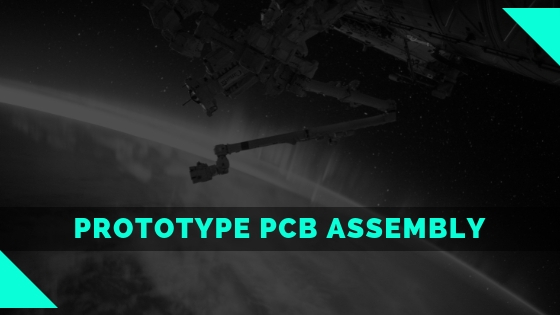 That’s why the PCB assembly company offering design services with contract manufacturing services is the ideal choice because the company has technical capabilities and expertise to solve any problems that may arise in the pre-assembly process. By contacting the PCB manufacturer’s technical support to check their options for prototype PCB assembly, you can avoid problems before starting production. These are some of the main factors that the designer of the printed circuit board should consider when outsourcing their design to the PCB assembly manufacturer to produce a PCB prototype.